Wherever you choose to stay, you will be very well looked after. We know that your accommodation and the welcome and cuisine you receive from your hosts is as important as the walks themselves. Over the past 31 years, we have built lasting partnerships with some fine accommodation providers. 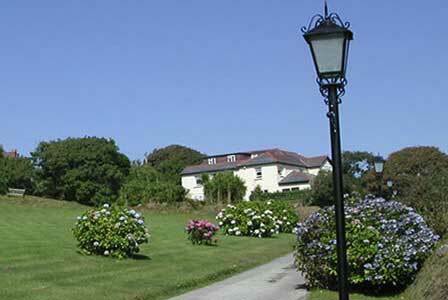 All are on the spectacular north coast of Cornwall, in and around the lovely unspoilt village of St Agnes. You can either enjoy Half Board or B&B accommodation and during 2019, our week long walking holidays will range from £768 per person (staying with a local family in a B&B) – up to £1,180 per person (luxury hotel, with dinner, bed and breakfast included). Please request our 2019 brochure and detailed accommodation list for the latest prices. Whatever your choice, you will find yourself a short walk from splendid cliffs and beaches and the charming North coast village of St Agnes. This is the fictional village of ‘St Annes’, which Winston Graham wrote about in his popular “Poldark” novels, made later into 2 very successful TV series. It is situated some 9 miles west of Cornwall’s charming cathedral city of Truro, where the trains from London arrive. The National Trust own large tracts of the local landscape, including the prominent 700 foot high St Agnes Beacon – with stunning views all over mid Cornwall and up and down the spectacular north coast. From here, one can see all the way down the north coast – past Godrevy Lighthouse (where Virginia Woolf found the inspiration to write “To The Lighthouse”) to St Ives and beyond – and right up the north coast to Trevose Head and its lighthouse. With Dinner, Bed & Breakfast included. 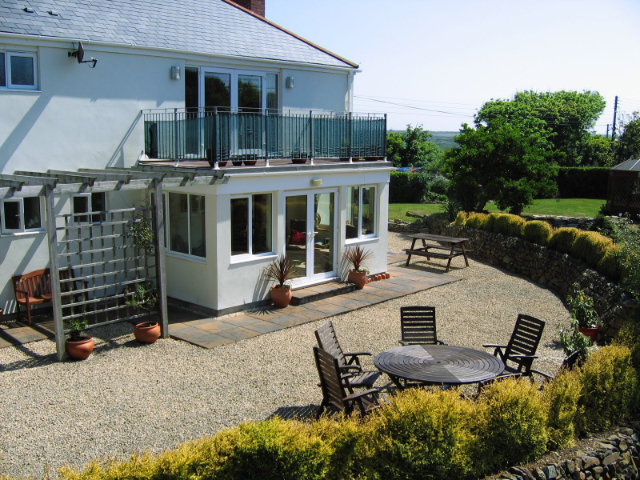 The Beacon Hotel is a lovely 3 star privately owned hotel, situated on the southerly slopes of St Agnes Beacon, just outside the village of St Agnes. It stands in extensive grounds of 2 acres and enjoys one of the more spectacular vistas in the area. The panorama encompasses a wide sweep of countryside, from St Austell and Bodmin Moors in the east, to the blue waters of the Atlantic, past Godrevy Lighthouse to St Ives in the west, some 13 miles distant as the crow flies. The 11 rooms are tastefully furnished and well appointed, with “en-suite” facilities. Each room has colour television, direct dial telephones, tea and coffee making facilities and a standard of comfort commensurate with their AA 3 star rating. Both the dining room and lounge take full advantage of the view. Great pride is taken in the cuisine, which offers the very best of English and Cornish dishes, presenting a varied menu making full use of fresh local produce. There is also an extensive wine selection available with dinner. The three lounge areas are spacious and offer great comfort, where you may enjoy a quiet moment or two. For your convenience, the whole hotel has been designated as non-smoking and has Wi-Fi access. The well stocked bar is a pleasant place in which to relax in the evenings. During the lighter months, it is quite feasible to take a stroll in the evening up to the top of St Agnes Beacon (10 mins) via the nearby footpath. From here, really spectacular views of the sunset can be observed. Also, the village, cliffs and Chapel Porth beach are all about 15-20 mins walk away. If you would like to be in a nice quiet location, with great panoramas and very comfortable rooms, with a superbly friendly family service, then this might be your choice of accommodation. Always very good reviews from our guests. Ted and Jeannie Ellis will welcome you into their eclectic former Country Gentleman’s residence, now tastefully converted into a hotel which now only offers B&B. However, the central location of The Cleaderscroft places it within 5 mins walks of many of St Agnes’s fine eating places and pubs. There are 5 tastefully furnished rooms (including two four posters) and 2 self contained apartments. Please contact us (or them) to enquire as to suitability. Always highly enjoyed by those who choose to stay there. Neil and Sue York extend a very warm welcome to all our guests at their modern self-built home. Kimberley is situated on a quiet lane in the beautiful village of St Agnes, a ten minute level walk from all the eating places the village has to offer. It is also a ten minute wooded walk down to the lovely beach at Trevaunance Cove, the main beach of St Agnes. The open cliff tops are 10 minutes walk away too. The bedrooms (with private bathrooms) are mostly situated on the ground floor, which provides easy access to the dining room and sun lounge. Guests are welcome to relax in the garden, which includes a pond and a large terrace. 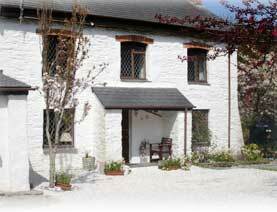 Many of our guests choose to stay with Neil and Sue and we highly recommend it. Anne and Duncan Pascoe will make you feel completely welcome at their home and be part of their family. Their charming cottage style home is situated a few minutes walk from Kimberley, in a quiet wooded setting, tucked away in a sheltered glen. It is also about a ten minute walk into the village proper and it’s also a similar distance down to Trevaunance Cove. Everyone who has ever stayed with them has been blown away by their kindness and the effort they put in to make your stay nothing but excellent! We can also offer other B&B’s and pubs – please request the fully detailed accommodations and 2019 prices’ list by email. We are confident that wherever you choose to stay, you will be very well looked after. Hope you can join us on one of our wonderful walks during 2019!